If you want to watch out the activity of your kids on iPhone then Famisafe is the awesome software to record the time spent on the iOS device. Make use of the screen time iPhone option to learn the exact time duration of the iPhone usage by your children. You need an effective tool to maintain the screen time for your kids within certain limit. Monitor your kid’s activities on your iPhone without much difficulty. It is the best way for your children to overcome the addiction towards the gadgets. Protect your kids from various online threats available in the current scenario by installing sophisticated apps on your iOS devices. What can kids benefit from screen time iPhone? There are lot of benefits which can be listed out by making use of this parental control Famisafe in your gadgets. First and foremost advantage in monitoring the screen time iPhone using Famisafe helps to get rid of addiction. The information about the screen time assists the parents to analyze whether the kids are within the control zone. As you all know that too much of time spent on the gadgets leads to unwanted problems in the healthy living of the kids. To be specific the parents can limit the usage and protect their children’s eyes. The screen time iPhone gives a basic idea about the total usage of the gadgets by your kids per day. Even your children will be able to realize how many hours they have spent on the gadgets on that day. Time boundaries can be set by recording this screen time on regular basis. 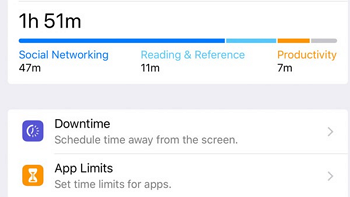 Make your kids to put down your iPhone using the screen time iPhone settings. It is a great feature for the parents to bring about a lot of constructive changes while nurturing their kids optimally. How to check screen time on iPhone via setting method? It is very simple to check the screen time on iPhone using setting method. Before viewing the screen time iPhone you have to enable it without fail. The screen time data will be recorded only if this feature is set “On”. Step 1: Open the “Settings” option in your iPhone and select the “Screen Time” feature from the list. Step 2: Turn on the screen time in case if it is disabled. You will be able to view the reports only if the option is enabled. To view the report tap the “Weekly Reports” option and press “Continue” button. 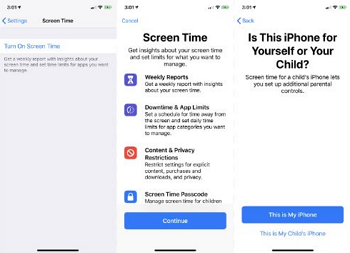 To set up additional parental controls on your iPhone you have to confirm that “This is my iPhone” from the extended Screen Time page. Step 3: The screen time report looks like below screen shot. You can also break down the screen time by customizing with the “App Limits”. This option breaks down the screen time by displaying how many hours spent on each app installed in your iPhone. You can track down the exact time data about the gadget usage by your kids. 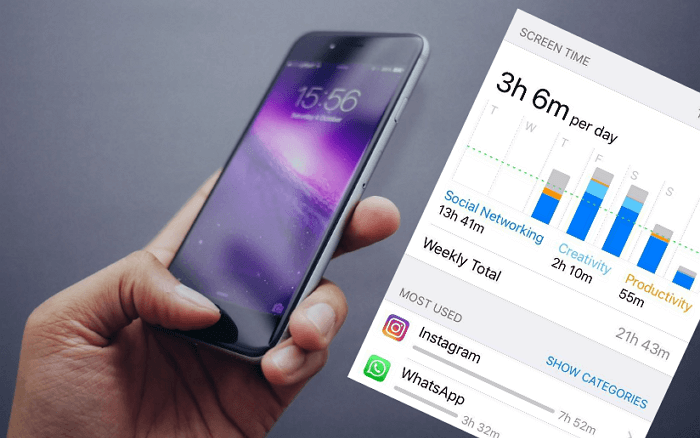 How to check screen time on iPhone through FamiSafe? You can now make use of Famisafe tool to check the screen time on iPhone. As its name indicates that this tool is the safe software and it guarantees family safety amidst the cyber crimes which prevails in the present situation. Glance through the steps listed below to make use of the Famisafe in order to check the screen time iPhone. Step 1: First, you have to download this tool from the official website of Wondershare. 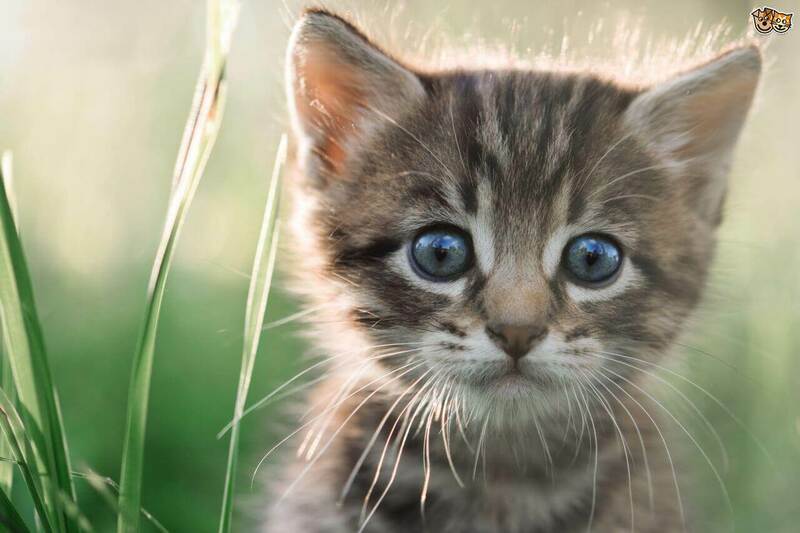 Click the download button to try out the free trial of this amazing app. You can also visit the App Store to install this software in your iOS device. There is separate link for Android and iOS compatible Famisafe software. Simple three steps are sufficient to complete the download process successfully. Download the .exe file and register with the firm. Install the tool and explore its features without any issues. Step 2: Soon after the installation, the next step would be to trigger the Famisafe software icon to enable the screen time feature. 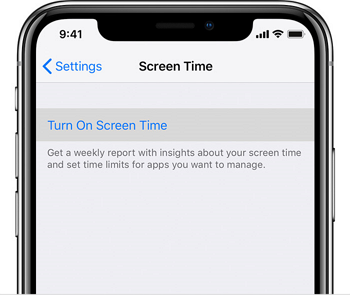 You will be able to witness screen time report after turning on this option. Choose Screen Time from the displayed list to check out the screen time iPhone. 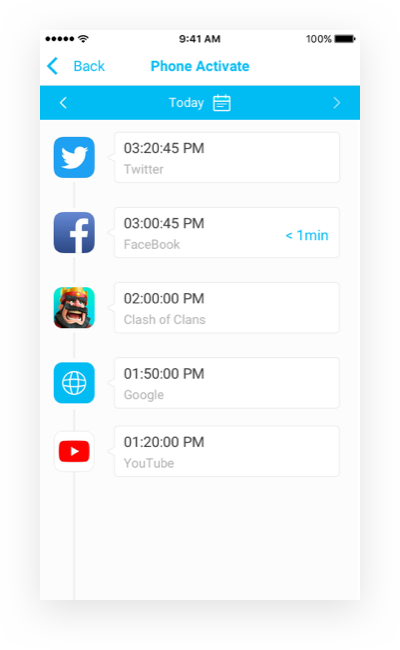 Step 3: Finally you can view the details of the screen time and you can also get some idea about the time spent on each app in your iPhone. A clear description about the iPhone usage will be displayed in a precise manner without any flaws. 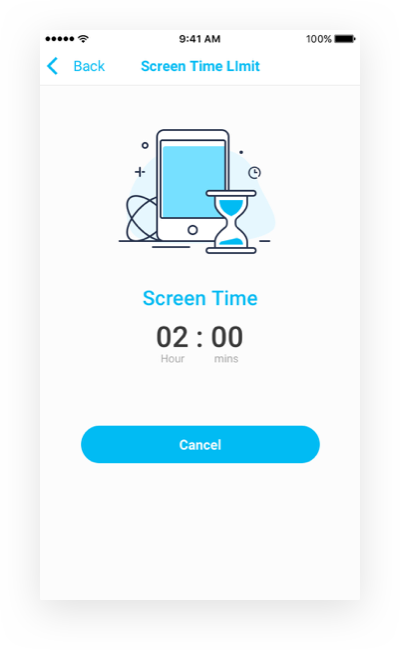 In the above screen you can also set the screen time limit in order to restrict the number of hours spent on the iPhone by your kids on daily basis. Additionally you can also block apps and devices with the help of the “Block Device” option in the screen time window. What can FamiSafe do for parental control? Famisafe app is a best parental control on iPhone. It is the urgent need app to manage the current situation. Most of the kids are fond of gadgets and iOS devices and have become their craziest leisure time. Nothing can be replaced to entertain today’s kids round the clock. This parental control app serves as a boon to the parents. This app comprises of various features to monitor and control the activities of the kids on iPhone. A lot of built-in features are implemented in this tool. To learn more about this app just surf through the below bulletins. The Screen time displays the time spent on the iPhone and in a deeper note it also records the accurate time consumed by each app visited by your kid. The entire screen time is categorized by the time spent on Facebook, WhatsApp, and Clash of Clans etc. A detailed description on the screen time will be listed out accurately. You can set time limit when you block the apps in your iPhone. Using this software you can obtain a complete control of the gadget whether it belongs to your kid or if it is your own device. Finally, it is time to conclude the discussions. 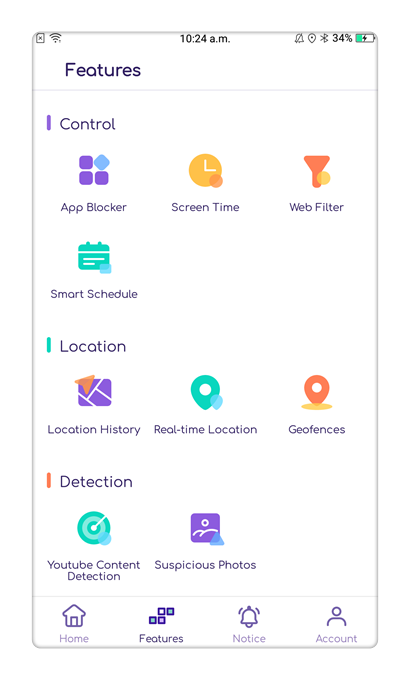 The Famisafe app from Wondershare is a parental control tool which gives a complete authority to the parents to restrict the activity of their children on iPhone. The parents can manage and allot time limits for their kids on iPhone usage. 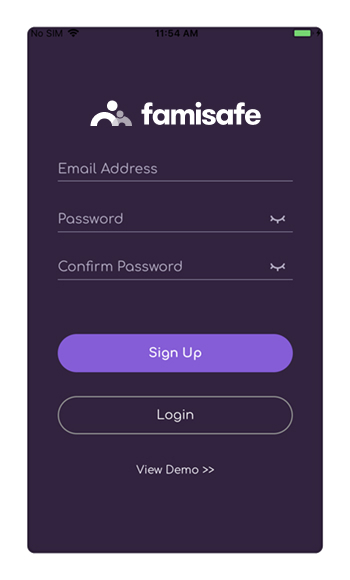 Monitor and ensure safe moves on iPhone with help of this outstanding parental control app Famisafe.